The new Schneider APO-Xenonplan 2.0/24mm lens is optimized for cameras with sensors sizes up to 1.3 - inch format. Schneider has just introduced the 24mm APO-Xenoplan 2.0 24 mm lens that enables engineers and designers to achieve maximum performance with Kodak 4 MP Sensors having microlenses. Schneider Optics, a worldwide market leader in high-quality lenses for industrial applications, has just introduced the APO-Xenoplan 2.0 24mm lens. This is the third new machine vision lens Schneider has introduced in 2009. The new APO-Xenoplan 2.0/24 lens enables engineers and designers to achieve maximum performance with Kodak 4 MP Microlenses Sensors. According to well known optic industry expert and Schneider Vice President, Stuart Singer, "To overcome a problem associated with microlens-based sensors, we have created a new lens design form that is near telecentric in image space. With the new Schneider APO-Xenoplan 2.0/24 lens, the angle from light farther and farther from the center of the sensor will strike the microlenses at nearly the same angle and produce equal illumination across the entire sensor. This will eliminate the typical off axis shading of imagery caused by employing conventional C-mount lenses. 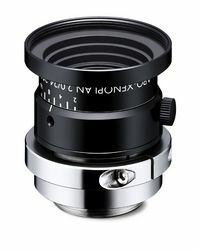 This new 24mm lens is optimized to cover the 1.3 inch c-mount format (24mm image circle) and can be used on any smaller format which do not contain the micro lenses"
Jim Sullivan, Schneider Optics' Industrial Sales and Marketing Director said, "To further support the full potential of microlens sensor technology, Schneider is now producing lenses -- like the Schneider APO-Xenoplan 2.0/24 lens -- with higher optical performance, lower f-numbers, and significantly tighter manufacturing tolerances. In addition, the Schneider technology support team provides consulting services that can assist engineers and designers, to help ensure that their entry into the amazing new world of microlens sensor technology is economically and technologically successful." Microlenses increase the fill factor of the sensor by capturing as much light as possible. However, like any lenses, they have an acceptance angle at which they will still effectively collect light and focus it onto the active portion of the pixel. If the external lens used to form an image on sensors that use microlenses exceeds this angle, then the light does not reach the sensor. As sensors grow larger and larger, the acceptance angles of each of these microlenses do not change. The angle of light from the center of the external lens to the pixels that are farther and farther from the center of the sensor does change. As sensor resolutions increase, light must still reach individual microlenses on the sensor at angles as low as 7°, so that shading or roll-off does not occur. The Schneider APO-Xenoplan 2.0/24 lens features a precision iris (with the popular Schneider locking mechanism) that improves control of gray-scale calibration, F-Stops from 2.0 to 16, and a magnification range from infinity to 1:10. A unique focus mechanism enables very fine focus adjustment and locking without backlash. The robust design assures extremely reliable and precise measurements, even in the most harsh production environments. These lenses also feature a broadband anti-reflection coating for the spectral range of 400 nm to 1000 nm, which maximizes transmission and improves image contrast by reducing stray light. Combining a low-distortion design with a high-quality coating results in superior optical performance that will satisfy even the most demanding requirements of next-generation vision systems. Schneider APO-Xenoplan 2.0/24 lenses have built-in M37 x 0.75 filter threads, to accommodate a wide range of filters. Schneider UV, IR, Polarizing, Neutral Density and Color filters are available with threaded mounts for easy and quick attachment to all types of lenses. The Polarizing filters have new rotating mounts that allow fast and accurate alignment of the polarization axis. A new locking mechanism fixes the polarization orientation after calibration, for long term stability. Band Pass filters enhance the image contrast capabilities of vision systems that use advanced LED lighting, by allowing light only of a specified transmission wavelength (the "pass band") to pass through, while blocking any light at wavelengths shorter or longer than the pass band. Custom versions of filters with special transmission characteristics satisfy even the most challenging requirements. In addition to standard MgF2 anti-reflective coatings, all filters are available with Schneider's superior Multi Resistant Coating (MRC) which is a hydrophobic broadband multilayer coating that features an extremely high resistance to mechanical and environmental stress. Special V-coatings optimize optical systems for specific wavelengths. 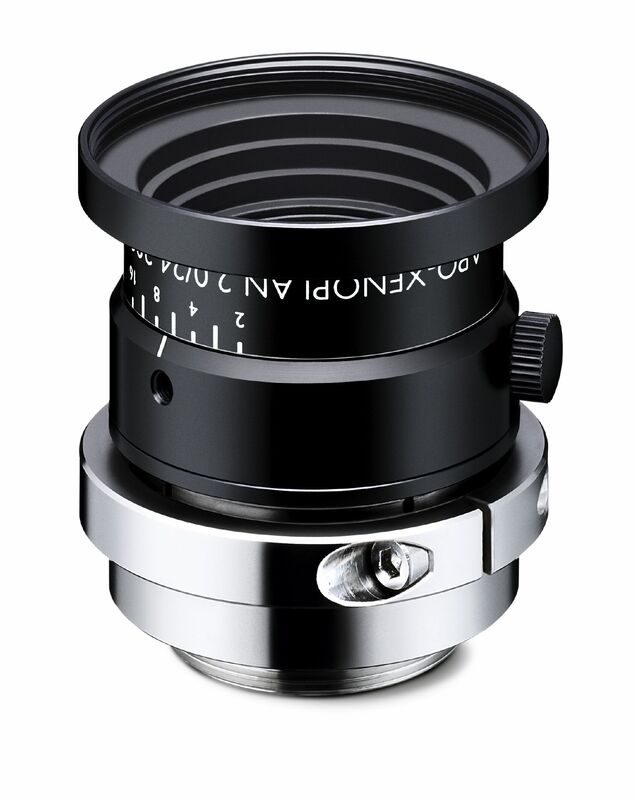 To contact Jim Sullivan directly, ask for x116 or email jsullivan(at)schneideroptics.com. To discuss your consulting requirements directly with Stuart Singer, call +1 631 761-5000 x204 or email ssinger(at)schneideroptics.com.